Should I study model answers? 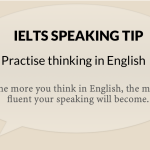 Many IELTS candidates think that studying sample model answers for the speaking test will help them. And yes, it's true, model answers can give you a good idea of how to respond to the examiner's questions. They can also help you to develop your opinions on different topics. However, there are a few things you should remember. How can I get band 6+ in speaking? I received an email from Gurpreet in India. 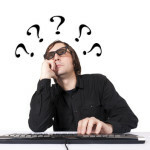 Gurpreet writes: "How can I get band 6+ in speaking?". This is a very general question and cannot be answered in one blog post. So I'm going to rephrase it as: "How good does my English need to be to get band 6+?" Learning how to speak English fluently as an adult is difficult, especially if you don't live in an English-speaking country. Your time is limited, and you need to use all your available opportunities. Here are some tips for improving your English if you don't have much free time for learning. Tomorrow is the beginning of a new year. 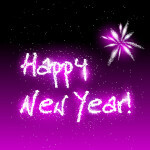 It is a time when people around the world make resolutions (decisions to do or not to do something in the future). In this post, I'm going to suggest five New Year's resolutions to improve your speaking skills for the IELTS Speaking test. If you need additional motivation to study, it helps to think about the reason why you are taking the IELTS test and how it will change your future. If you are considering migrating to Australia, Canada or Great Britain, take a look at some of the wonderful wildlife that you will see. Enjoy.